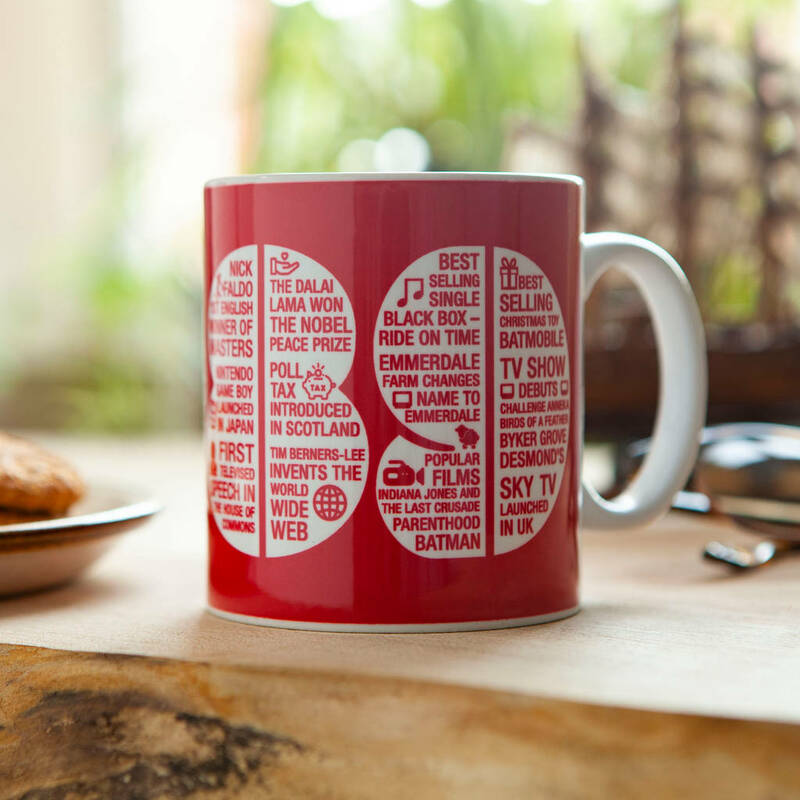 This 30th birthday mug contains fabulous memories of the Eighties, and makes a wonderful gift for anyone celebrating their 30th birthday. This retro design is a great gift for husbands/wifes or friends celebrating their 30th birthday, and will make a great talking point at home or work. 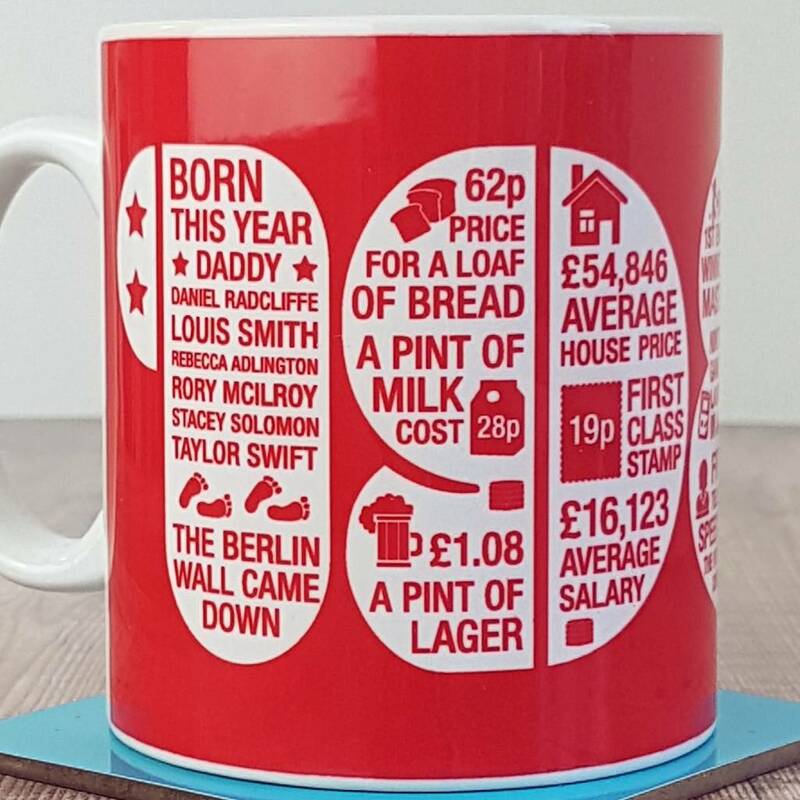 It includes fun facts of the year 1989, such as the price of a pint. 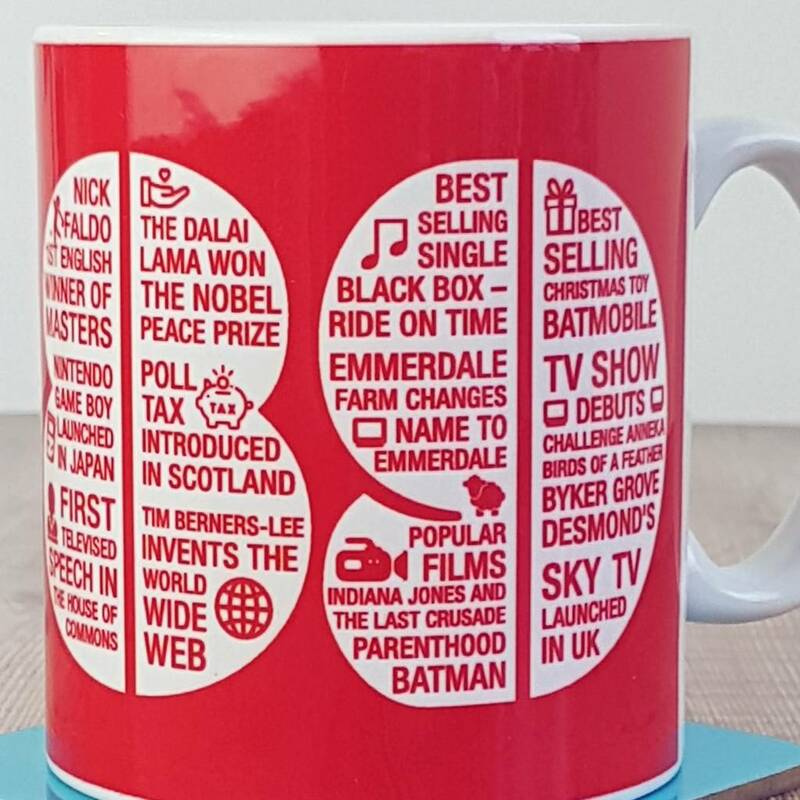 It is part of our best selling Year Memories Range and the design in available also as a personalised print or a birthday card. 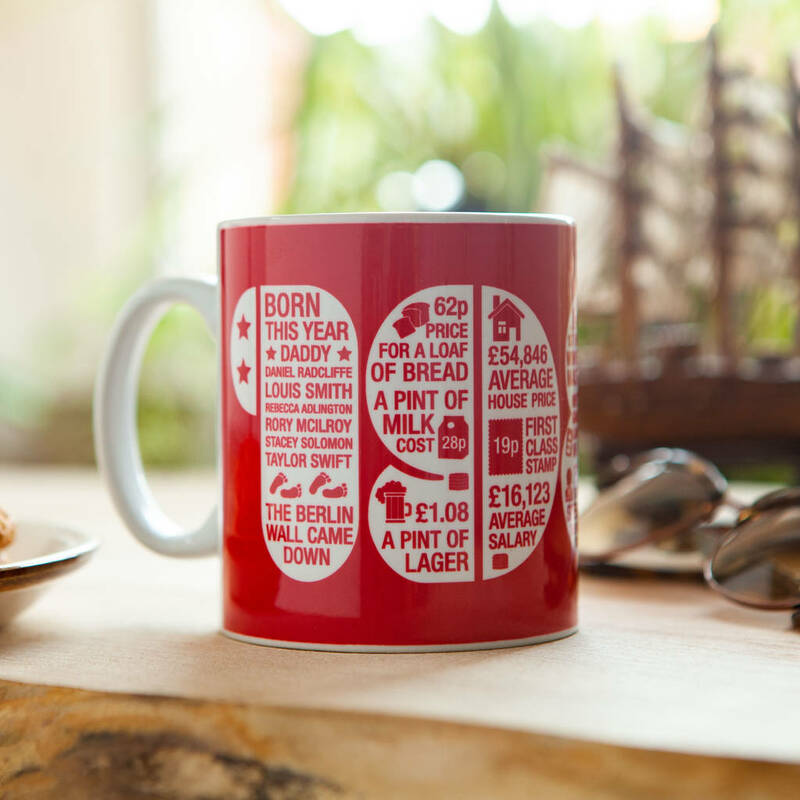 There is the option to make the mug more special and unique by having a name added to the born this year section.